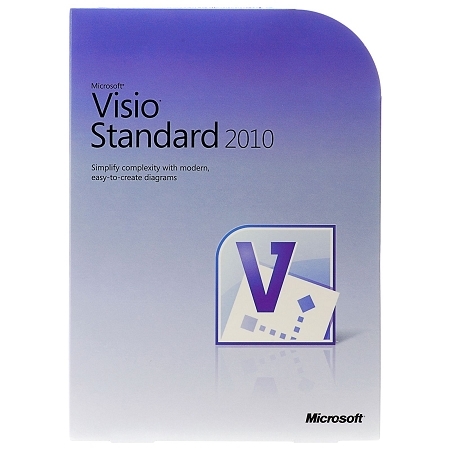 Microsoft Visio Standard 2010 offers modern and intuitive diagramming tools to transform complex ideas into "aha moments" and get everyone on the same page with less time and effort. A diverse set of pre-drawn shapes, pictures and templates and new automatic drawing tools make visualization easier than ever. Gaining a clear and complete view of information that matters to your business requires both a high-level perspective and detailed data. With just a few clicks, Visio 2010 helps you see the entire picture by showing meaningful information and data graphically in a single, always up-to-date diagram.